Since 1934, the Federal Housing Administration (FHA) which is a part of HUD, has insured loans so lenders can offer a better deal. Benefits of FHA loans include low down payments, low closing costs, and easy credit qualifying. The FHA sets maximum mortgage limits for FHA loans that vary by state and county. Because an FHA loan does not have the strict standards of a conventional loan, it requires two kinds of mortgage insurance premiums: one is paid in full upfront (or financed into the mortgage) and the other is a monthly payment. There are a number of qualifications a potential borrower must meet, below are just a few. For a full list of FHA loan requirements, contact an FHA loan officer. Borrowers must have a steady employment history or have worked for the same employer for the past 2 years. Borrowers must have a valid social security number, lawful residency in the U.S., and be of legal age to sign a mortgage in your state. Typically borrowers must be 2 years out of bankruptcy and have re-established good credit. Typically borrowers must be 3 years out of foreclosure and have re-established good credit. The property must meet certain minimum standards at appraisal. For first time home buyers utilizing an FHA loan, down payments can be as low as 3.5% of the purchase price. To qualify for a 3.5% down payment the borrower must have a credit score of 580 or higher, which protects the lender if the borrower defaults. The borrower’s credit score can be between 500-579 and still qualify for an FHA loan if they make a down payment of 10%. It’s important to note that the lower the credit score, the higher the interest rates the borrower will receive. The FHA also offers financing for mobile homes and factory-built homes. The FHA offers 2 loan products for manufactured and mobile homes: one for those who own the land that the home is on and another for mobile homes that are - or will be - located in mobile home parks. You may be able to include the costs of improving your homes energy efficiency through the FHA Energy-Efficient Mortgage (EEM). The EEM helps families save money on their utility bills by helping them to finance energy efficient improvements with their FHA-insured mortgage. The borrower must obtain a home every assessment by a qualified energy rater, assessor, or auditor using whole-home assessment standards, protocols, and procedures. Under the FHA’s Solar and Wind Technologies policy, the borrower can have a higher mortgage amount in order to pay for the cost and installation of new solar or wind energy system. A new solar or wind system must be made at the time of home purchase or refinance. The FHA’s Weatherization policy allows borrowers to finance up to $3,500 to pay for basic weatherization items such as thermostats and insulation. The maximum amount of the energy package that can be added to the borrower’s regular FHA loan amount is based on the home energy assessment or the lesser of 5 percent of the Adjusted Value, 115% of the median area price of a single family dwelling, or 150% of the national conforming mortgage limit. The FHA also offers a Reverse Mortgage for homeowners over the age of 62. 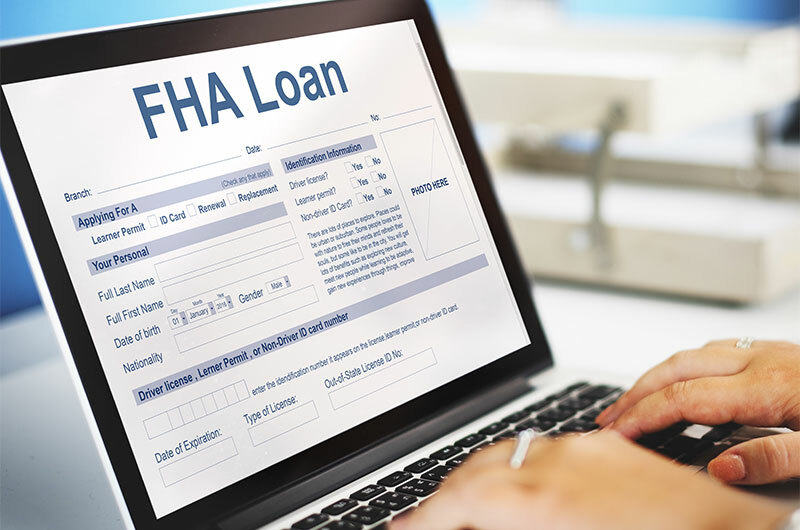 You can learn much more about the FHA loan process and its qualifications on the FHA website. If you are ready to start your home search, give us a call.